Nabila Abdulhafiz (’15) awarded Peggy Browning Fund fellowship to work in Washington, D.C. 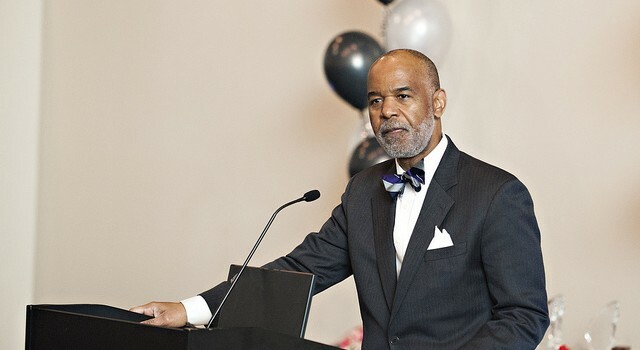 The Honorable Roger L. Gregory, Judge, Fourth Circuit Court of Appeals makes keynote address at BSLA scholarship banquet in 2015. 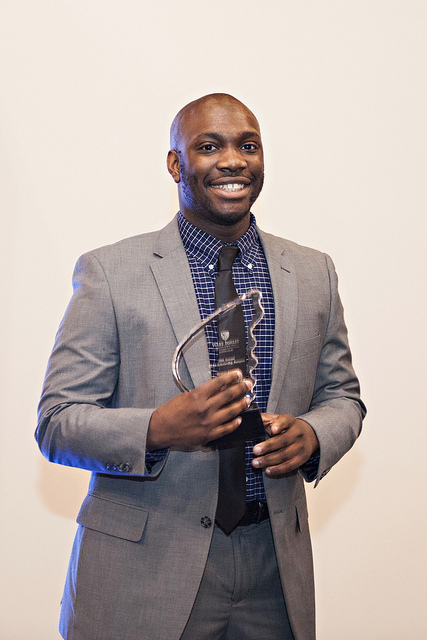 The Wake Forest Black Law Students Association (BLSA) hosted its 30th annual Scholarship Banquet on Friday, Feb. 13, 2015, at the Milton Rhodes Center for the Arts. The BLSA Scholarship fund was established in 1984 with donations from faculty, firms and alumni to assist law students with tuition. The evening featured the awarding of BLSA scholarships to current students: Correll Kennedy (’17), Cheslie Kryst (’16) and Nabila Abdulhafiz (’15). The Honorable Denise S. Hartsfield (‘91) presented the scholarship awards and read excerpts from the essays of these students. Ariana Burnette (’16) organized the event and served as the Mistress of Ceremonies. 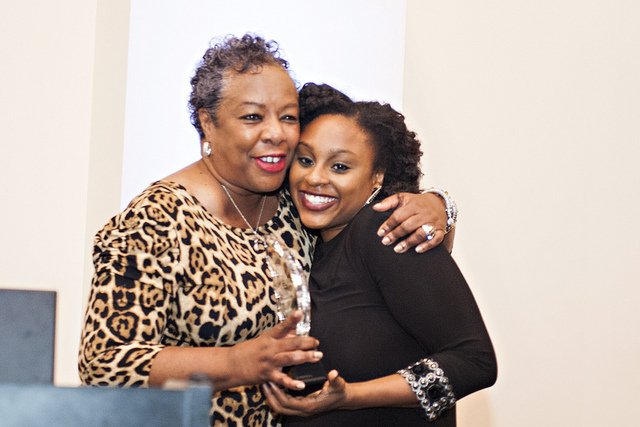 The BLSA Legacy Award was presented to Tracey Banks Coan, assistant dean for Academic Engagement and associate professor. Banks also presented the charge to graduating BLSA members at the close of the ceremony referring to the Pro Humanitate motto of Wake Forest University, and what it means to be a lawyer, an advocate for others in the legal system. “My charge to you is to remember who you are, and also remember who you’ve always planned to be,” Coan said. The keynote address was given by Judge Roger Gregory of the U.S. Court of Appeals for the Fourth Circuit. He joined the court in 2001 after being nominated by former President Bill Clinton. He received his bachelor’s degree from Virginia State University and his J.D. in 1978 from Michigan Law School. The evening included special tributes to honor two law school alumni — Terry Hart Lee (’74) and David H. Wagner Jr. (’68) — both of whom died in in the past two years. Shirley Cloud, a family friend of Lee, honored Lee, who was the first female African-American graduate of Wake Forest Law. David H. Wagner III spoke in honor of his father, David H. Wagner Jr. The BLSA Banquet was established in 1985 and remains a cornerstone of BLSA’s legacy in raising scholarship funds for students. View the album of photos on Flickr.